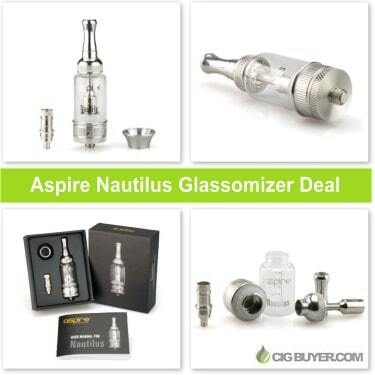 The Aspire Atlantis has been getting a lot of buzz lately, but if you’re not ready to “sub-ohm” then Aspire Nautilus is still one of the best glassomizer setups on the market. It has a huge, 5ml glass Pyrex tank and an exclusive 4-port adjustable airflow design, making it fast and easy to create the perfect vape. Simply turn the lower ring to increase or decrease the airflow and produce huge, clean-tasting clouds of vapor. The Aspire Nautilus looks fantastic on any large mod or APV style battery.